As I mentioned in my last post, I discovered something rather exciting in Birmingham on Saturday. 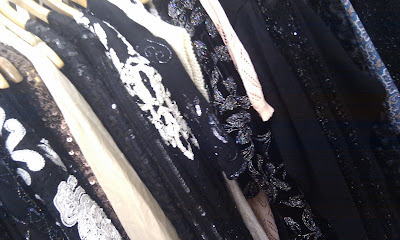 My hunt for the perfect vintage party dress (which is hopefully over now!) took me to The Custard Factory. I remembered that the vintage flea market was on and, being late (just for a change), I hurried over to have a swift browse. No luck there. 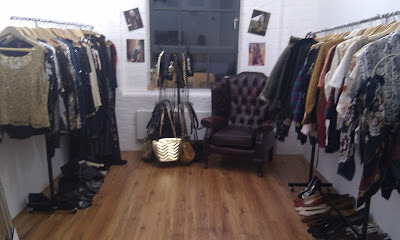 On the way to my final destination, Urban Village, I was collared by a very stylish female who offered me a little preview of her brand new vintage shop in The Custard Factory's Zellig building- I didn't need asking twice! 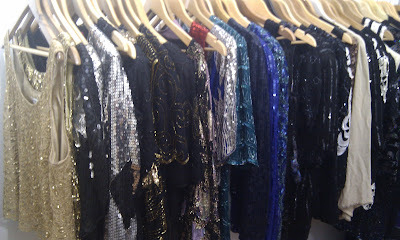 Frock On Vintage is a fabulous appointment-only boutique offering a very personal shopping experience. 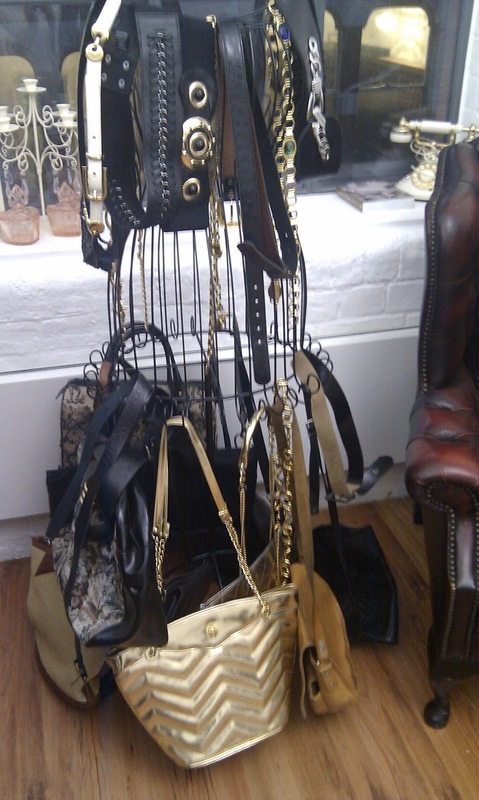 Pam's little boutique is crammed with amazing pieces, and she was kind enough to let me take a few pictures. 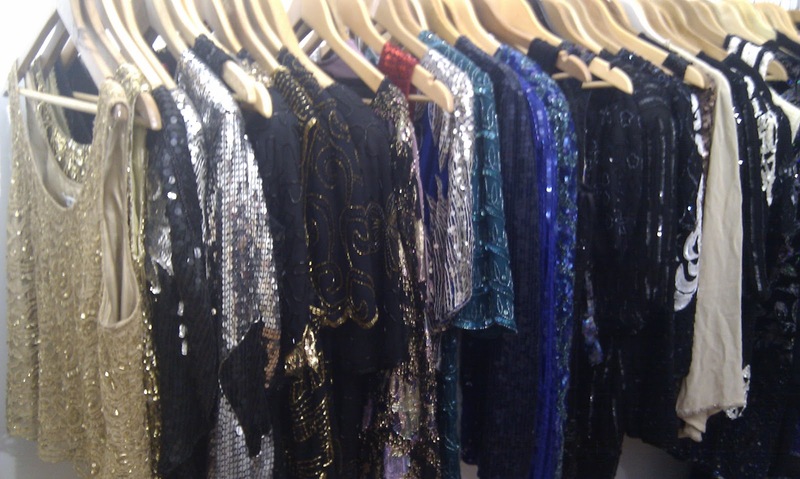 There's plenty of sparkly pieces, perfect for the party season. Pam admitted having a bit of a sequin fetish! A couple of dresses caught my eye, but weren't really suitable for my event; I had to resist taking everything else home with me though! Pam is lovely- particularly for trusting me with her gorgeous stock whilst she nipped out to find somebody! I wish her all the best in her new business and sure it'll be a great success. Make sure you Birmingham vintage lovers join her Facebook page. It's well worth booking an appointment just to have a browse at her great stock; even the trail up several floors of The Custard Factory!